Have you "Planked" lately? Planking seems to be the latest "I can't think of anything better to do" craze to be sweeping the planet. Well, at least Australia. Apparently, to Plank, one must lay face down and stiff as a board in the most ridiculous or dangerous place one can find, and get a photo of it. You then post your plank proof on Twitter. 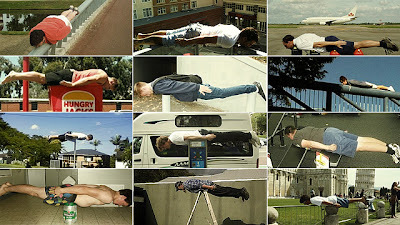 I may try and get my entire 7th grade class to do it, and go for some sort of Planking record. Of course, I will wait until just after a really good rain to do it. 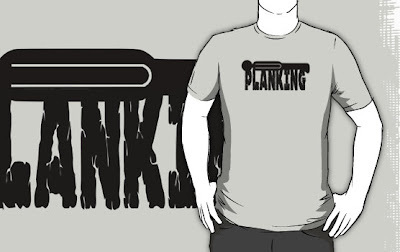 I have even made a few t-shirt designs about the new Planking fad. Let's see whether we have another meme on our hands.